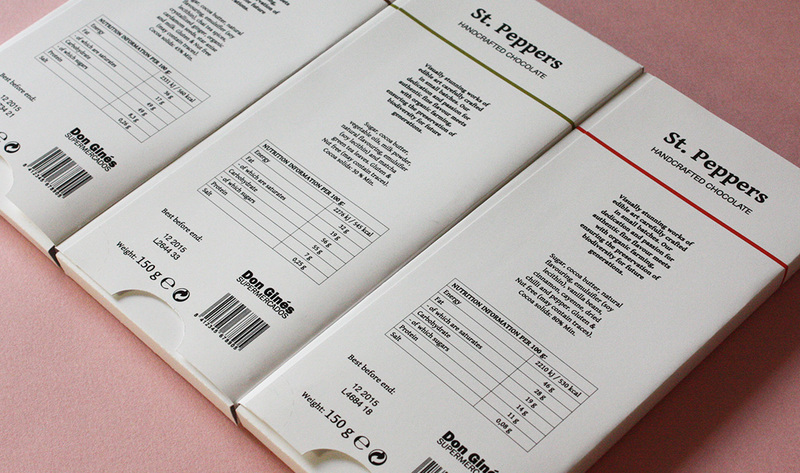 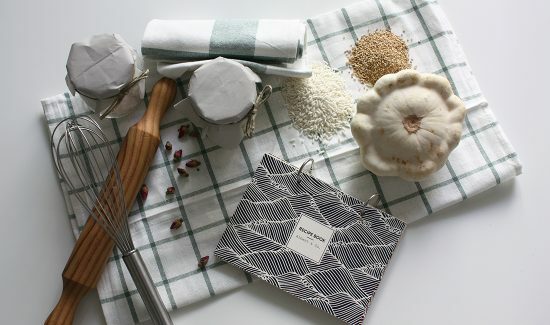 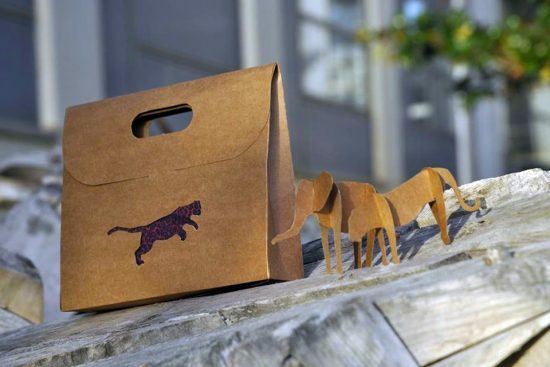 Packaging design for a line of chocolate bars. 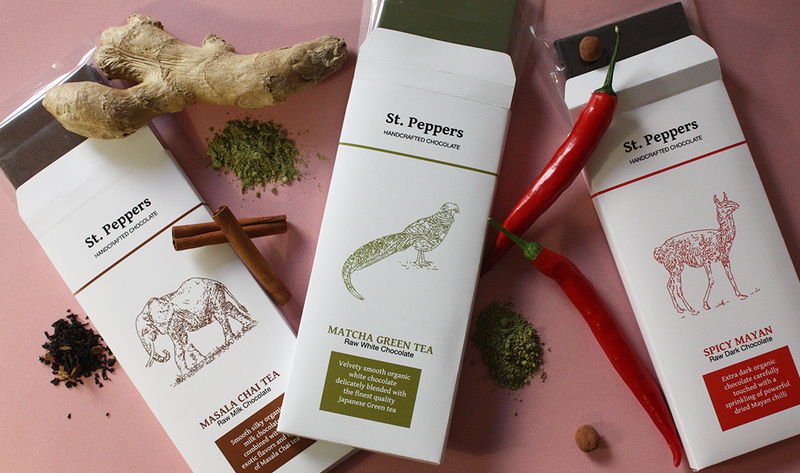 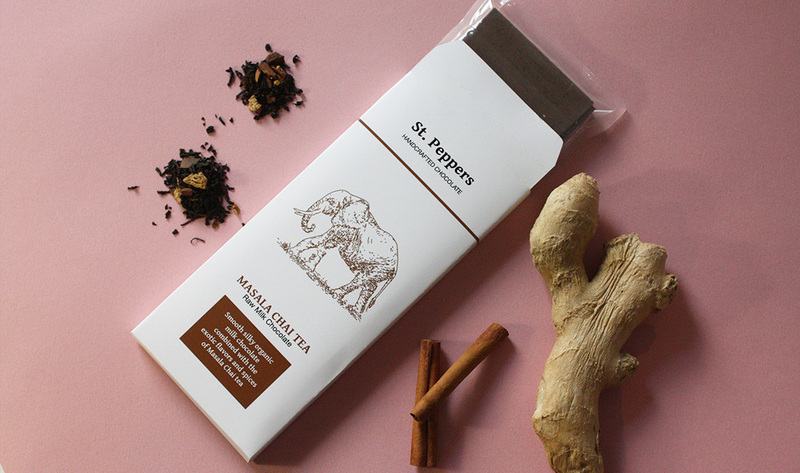 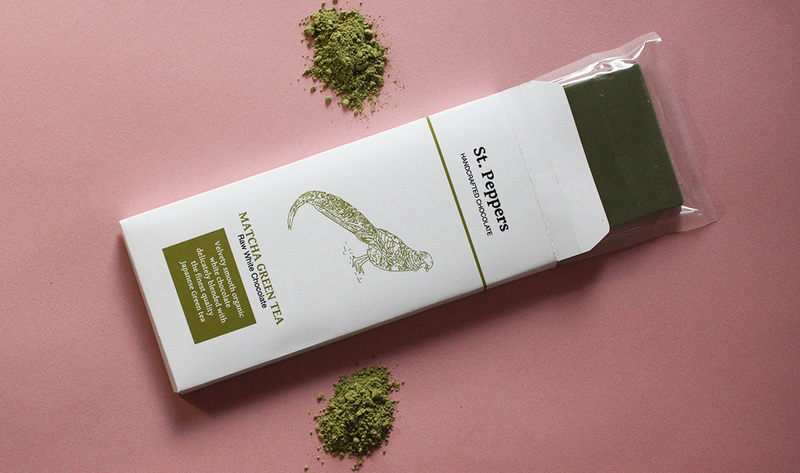 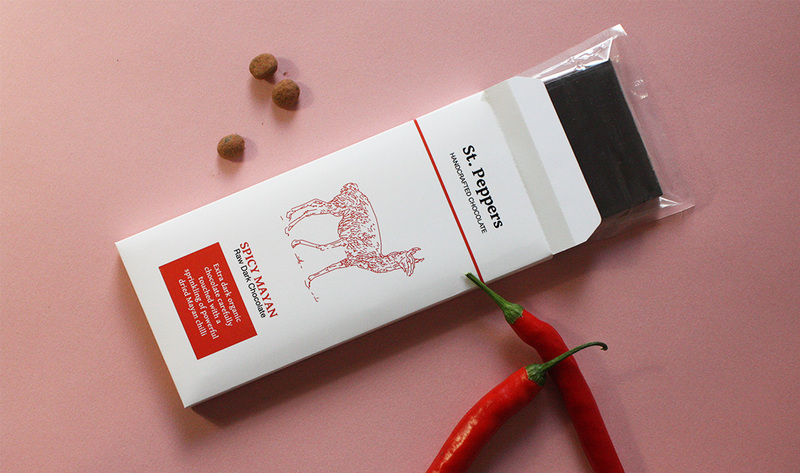 St. Peppers wishes to transmit the traditional production of handmade chocolate and, in turn, evoke the most representative flavors of the world’s diverse cultures. 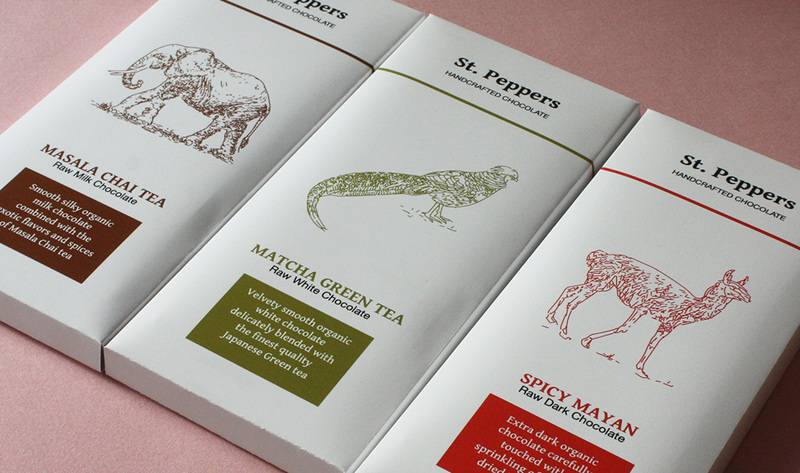 The chosen colour for the design of each chocolate bar is the one that represents the distinctive flavour with which the chocolate is combined (masala chai tea, matcha tea and mayan chili) and the graphic image symbolizing the animal typically associated with such a culture (the Indian elephant, the Japanese green pheasant and the Mesoamerican llama).